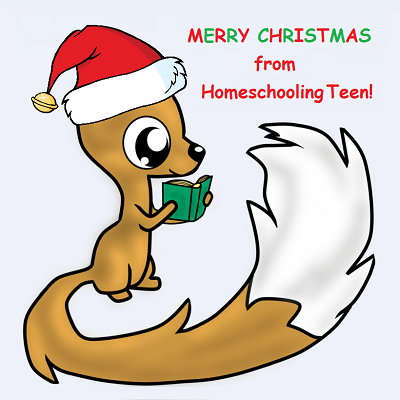 The December issue of Homeschooling Teen magazine is now online! There are quite a few holiday-related articles in this issue… Enjoy! Western Kentucky University, home of the Hilltoppers. Amazon Study Quiz (Beta) for Introductory Biology and Economics students lets you take quizzes, review results, and access study materials – free! This free online course gives you a complete overview of the grand and unique story of Western civilization. Everyone loves Santa Claus with his big white bushy beard, but can you get a regular job if you have a beard? What Good’s an Election Anyway? With the bureaucracy getting bigger and Congress becoming a laughingstock, what’s the point of elections? No matter your budget or schedule, there are many ways you can help bring joy to families in need this holiday season. Did a friend forward this to you? Sign up for your FREE monthly e-zine subscription! Simply follow the instructions in the upper right sidebar at HomeschoolingTeen.com.